Last week was great in some ways and not so great in other ways. We won't dwell on the bad, just move on as we go into this new week. We had a get together here over the weekend. I made two crock pots full of food and still have plenty of leftovers! That will make this an easy cooking week for me. Normally, I'd freeze most of it, but for some reason, I cannot fit anything into my freezer! I need to work on that problem. Soon. Not this week, but soon. This week, I'll just focus on using what I can so there's no waste! I hate wasting food. Balsamic Chicken over pasta. As soon as I made this the first time, I knew that I wanted to make this for company. So, it was a given that this was going to be served to our guests on Saturday! Simple to make and so delicious! Can't beat that in a recipe! I'll have to take a photo before I dig into my dish of leftovers since I haven't managed to snap a photo each of the three times we've made this meal! French Toast. We have a loaf of Italian Bread leftover from Saturday as well. 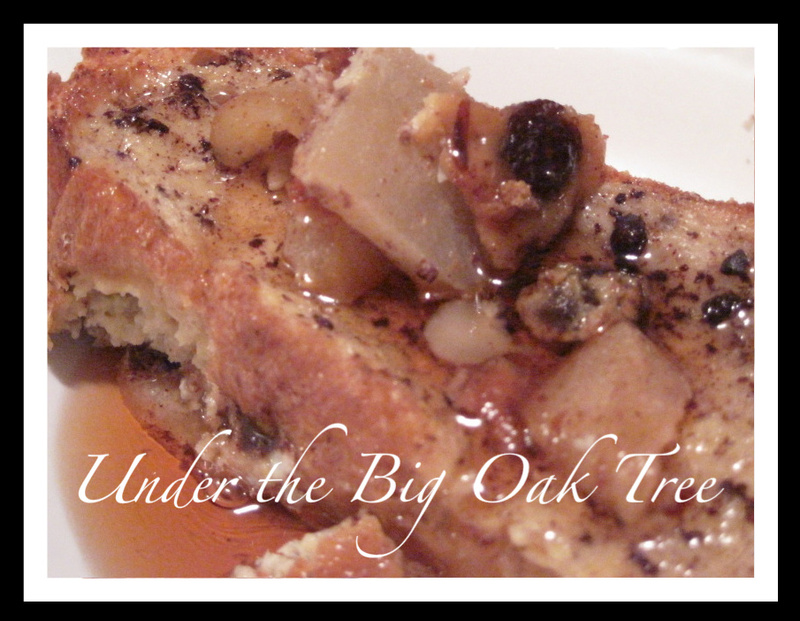 It's too hard to try to serve with butter, but will make a wonderful batch of French Toast. I haven't decided if I should make a French Toast Casserole (shown above), something we usually save for the holidays, or just the traditional slap it on the griddle way we make it for Sunday breakfasts. 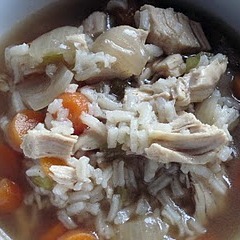 Chicken Rice Soup. Another leftover from the party. I couldn't host a party on the second weekend of fall and NOT serve soup! The struggle was in deciding which soup to make! After a lot of going back and forth, I narrowed it down to chicken noodle or chicken rice. The rice won out, since I was already using my big pot for the spaghetti and didn't want to have to wait to cook the noodles (I do them separate from the soup so they don't absorb all of the broth), so I popped some minute rice into the microwave instead! Worked for me! Frozen Pizza. We have a stack of frozen pizzas in the freezer. That could be what's taking up all that valuable space in there! I'll make some oven fries to go along with the pizza! 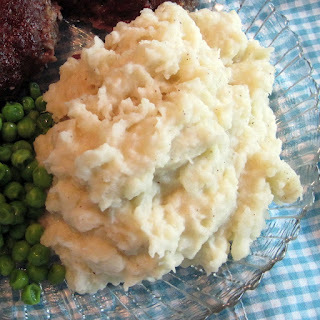 Meatloaf, cauliflower mashed potatoes, steamed veggies. I want to make a big batch of mashed potatoes so that I can make soup with the leftovers. I'm really in the mood for a creamy potato soup! Mmmmm! Well, that's about it! Now that you know what we're eating this week, let us know in the comments what's for dinner at your house this week! Or, if you need more menu planning inspiration? Follow me over to Menu Plan Monday hosted by I'm an Organizing Junkie! Or, if you like what you see here, you can check out my past menu plans.